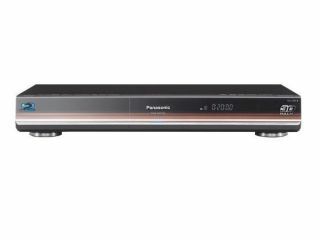 Panasonic's DMP-BDT300 3D Blu-ray player: does this have the killer app? So what is Blu-ray's killer app? Blame the recession if you wish, but sales of DVDs are down - and Blu-ray isn't necessarily making up the shortfall. Last November Screen Digest published its annual guide to the worldwide home video market and it made for slightly depressing reading. Rentals and sales of home video fell by 2.8 per cent in 2008 and Blu-ray didn't make up the shortfall, accounting for just 2 per cent of global video shipments. "Clearly the start of a global recession was not the ideal time to launch an upgrade to what many consumers consider to be a perfectly serviceable home entertainment system [DVD] and that spending on the Blu-ray format has been slower than the industry had hoped." Prospects for 2010 look better, but worldwide sales of standalone players were expected to hit just 18.9 million by the end of 2009, with another 27 million being allotted to the PS3. Compare that to the 540 million households that were expected to have a least one DVD player by the end of 2009, and it's clear that Blu-ray has a mountain to climb. One problem, aside from the recession, is that your average person doesn't yet get the benefits of Blu-ray. Simon Morris, chief marketing officer at Lovefilm told TechRadar that while 25 per cent of his company's customers are 'touching' Blu-ray they're among the most avid consumers of movies full stop. Morris likens them to footie fans who have a season ticket, Sky subscription, watch ITV highlights and Match Of The Day. In other words, they go the cinema, watch TV, stream content online and - yes - buy and rent movies on DVD and Blu-ray - the same kind of enthusiasts who thought Laserdisc was a good thing. Mass market it was not. Morris argues that most people understand that high definition is better, but don't necessarily make the connection between that and hooking an HD-ready TV to a high definition source such as Blu-ray. Richard Cooper, senior analyst for video at Screen Digest argues that there's a similar disconnect for PlayStation 3. He told TechRadar that many of them aren't plugged into high def TVs in the living room, and are being used instead as standalone games machines hooked up to portable TVs - although he expects that to change once awareness of the PS3's capabilities as an entertainment hub becomes more widespread. Even home cinema experts agree that the real benefits of high definition only become apparent once your display gets over 37-inches in size. Roger Batchelor, product marketing consultant for Denon told TechRadar "For anyone with a projector, Blu-ray is a must-have." Next Page So what is Blu-ray's killer app?